So I’ve finally decided to write my first post on an American city, and thought, what better city to start with than New York? New York is one of the most international cities in the world; you’d be hard-pressed to find many cities as diverse as this one. I think that this is the reason that I love New York. There really isn’t any place like it anywhere else, which is probably why I make it a point to visit at least a few times a year. 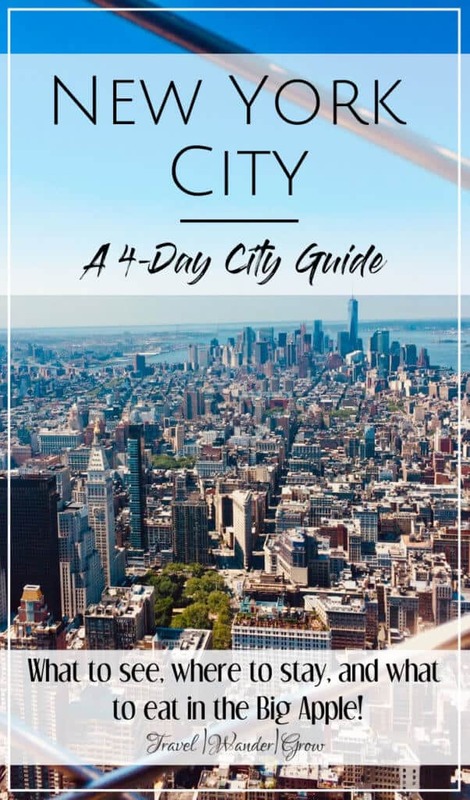 This ultimate travel guide to the city will provide details on what to see, eat, and know for 4 days in New York. It is geared for the first-time visitor, but as someone who has visited the city over 15 times, I hope others will find some good nuggets in here too :). 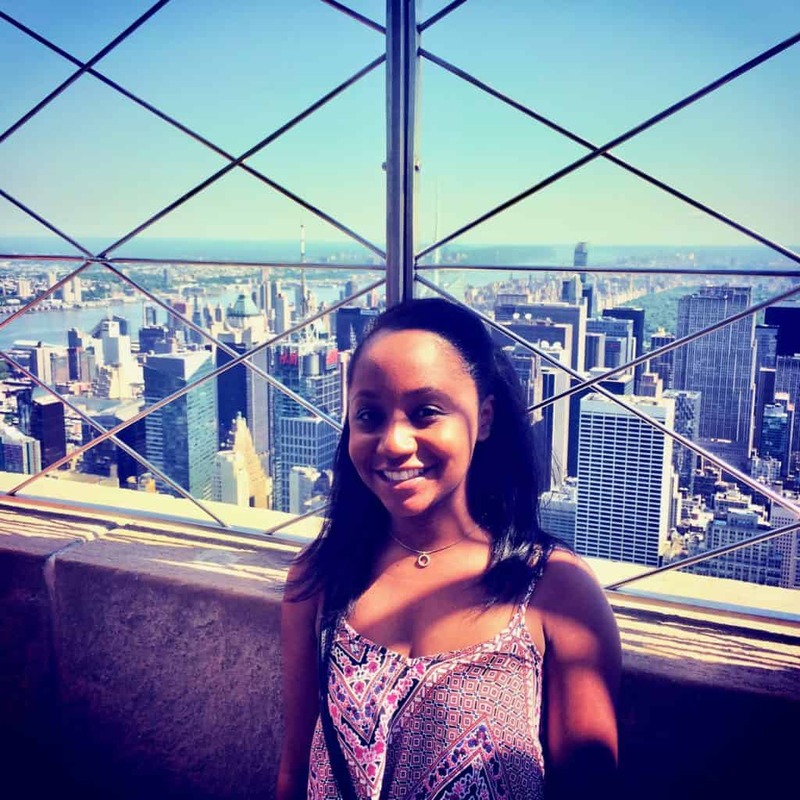 Is 4 Days in New York Enough? There is not a great deal known about the area now known as New York before the initial arrival of the Dutch settlers in 1613. What is known is that there were several groups of Native Americans that inhabited the region for thousands of years before the Europeans arrived. The last native inhabitants were the Lenape Indians, who employed advanced farming techniques for sustenance. The arrival of the Dutch brought about the decline in the native population, due to economic reasons, as well as disease and starvation. Dutch rule in the area ended in 1664, when the English arrived and easily conquered the area. During the American Revolution, New York served as a haven for British Loyalists. But following the end of the war, it became the first capital of the United States of America in 1789. The 19th century brought about a period of immigration, millions arriving to Ellis Island from many European countries. This continued on until the early 1900s, with the greatest number of immigrants arriving between 1892 – 1924. In the 20th century, New York became known for its race to have the tallest building in the world. Additionally, the city became the center of communications, finance, trade, and high culture for the US around this time. And this still holds pretty true of the city today. Today New York is the largest city in the United States, with over 8.5 million inhabitants. It is the financial capital of the world, and home to Wall Street and the Stock Exchange. In terms of tourism, New York is the most visited city in the US, and the sixth most visited city in the world! The city is serviced by three major airports; John F. Kennedy International Airport (JFK), LaGuardia Airport, and Newark Liberty International Airport. The first two are both in Queens, NYC; and Newark airport is just across the bridge in New Jersey. Given the volume of flights into the city each day, it’s not terribly hard to find a good deal into the city. If you live outside the Mid-Atlantic region or outside of the US, this is the best option to get here. New York is serviced by Pennsylvania (Penn) Station, which is the busiest station in the Western Hemisphere! Amtrak trains run in and out of the station daily, and it is also connected to the subway system. If you live in the Mid-Atlantic region, this is the least hassle way to get into the city. The only thing to watch for is the Amtrak prices, which can be high if you don’t book a month out or more. This is another great option for those living in the Mid-Atlantic region, and the most cost-effective. If you live in the DC metro region, I recommend BestBus. They have great customer service and reliable arrival and departure times. I can’t speak for all bus companies in the region, as there are many, but I recommend you do the research to figure out which would work best for you. Hilton Garden Inn Tribeca: This hotel is close to a lot of great shopping, and walking distance to the Chinatown and Little Italy neighborhoods. Rooms run from the $150s – $250s. Hotel on Rivington: Close to SoHo and the East Village, this hotel also offers great amenities to guests. The costs are around the upper $100s to $200s typically. Times Square: This is the area folks usually think of when they picture New York. It is where you’ll find all the shiny billboards, Broadway plays, and…tourist traps. I don’t love it, but I do think everyone should stay there at least once for the experience. 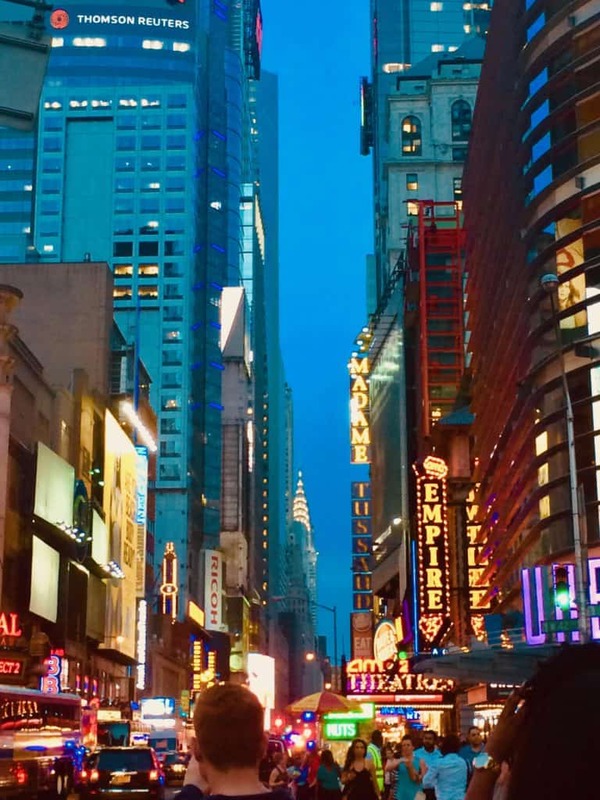 Row NYC: This hotel can be found on 44th and 8th, and is a short block to the busiest section of the Times Square. Rooms run from about $150 – $250, and they run rate specials often. It caters to the young adult crowd and has great eating options inside and close by. Courtyard Marriott Times Square West: This hotel is located on 37th and 8th, and is also close to everything in Times Square. Rooms are a bit cheaper, but the vibe is less unique than it is at Row NYC. Rooms here run as low as $110 and go to the mid-$200’s typically. I recommend using the subway to getting around in the city. It is VERY efficient, and will certainly be faster / cheaper than trying to taxi everywhere. If you have never ridden a subway before, it can be a little overwhelming. To avoid this, get acquainted with the subway system maps and mark down where you plan to go / which stops to take before you leave. Check out this NYC Subway Map, and download the NYC Subway App before you go! Taxis and ubers are always around too, in the event that subway interiors are too much for you. Also, walking is another great option, as you’ll experience the city so much more this way. Figuring out when to go will really be based on your temperature tolerance. Spring and Fall are both unpredictable, with weather ranging from chilly to warm, depending on the day. Summers are hot and humid, while Winter is just cold. I personally prefer to travel there in late Spring or early Fall as there are smaller crowds than in the summer and the weather is generally good. Let’s just talk about how far your dollar goes in the city a bit here. According to expert estimates, you need about $238 per person/ per day here. So for 4 days in New York, you may spend close to $1000. Of course this would vary by how you chose to eat or what activities you plan to do, however. I have personally never spent that much – I usually spend about half of that, but $1000 would be average. A good way to keep your costs lower is to plan your budget ahead. Check out this post for tips on how to do just that! So you’ve made it to New York! After the excitement wears off, you may start feeling a bit overwhelmed by everything buzzing around you. So take a moment to stop, soak it all in. You are now ready to start exploring ;). 1. Times Square: This is the main commercial and tourist sector of the city, famed for the huge advertisement screens that are featured on the buildings in the area. It is ultra touristy here, so I don’t recommend you stay for long. 2. Theater District: As the name suggests, this area is full of theaters that house Broadway shows. To get here from Times Square, pivot up Broadway street. If you have not already decided on a play to see, this will give you a few ideas. 3. The Rockefeller Center: This commercial center, affectionately known as “30 Rock”, is home to NBC and many other well-known corporations. If you are getting hungry, you will find a pretty decent food court inside the center to grab a bite. To get here from the Theater District, just head down W 50th and turn onto Rockefeller Plaza. 4. Chrysler Building: Known for it’s Art Deco style, this is one of the most famous skyscrapers in the city. To get up close to it, take 5th Ave to 42nds St. On the way there from the Rockefeller Center, you’ll see the ritzy-ness of 5th Ave and the outside of Grand Central Station. 5. The Empire State Building: This building reigned as the tallest building in the United States for over 50 years, and is really a must-see! Take a visit to the top to get impressive, open-air views of the city skyline. To get there from the Chrysler Building, take Lexington down to 34th street, then walk back towards 5th Ave.
Also, to avoid the often long lines outside the building, I recommend you get a Skip-the-Line Ticket. You won’t regret it! Depending on how fast or slow that you walk, and the number of stops you take, this stroll will take you 3 or so hours. 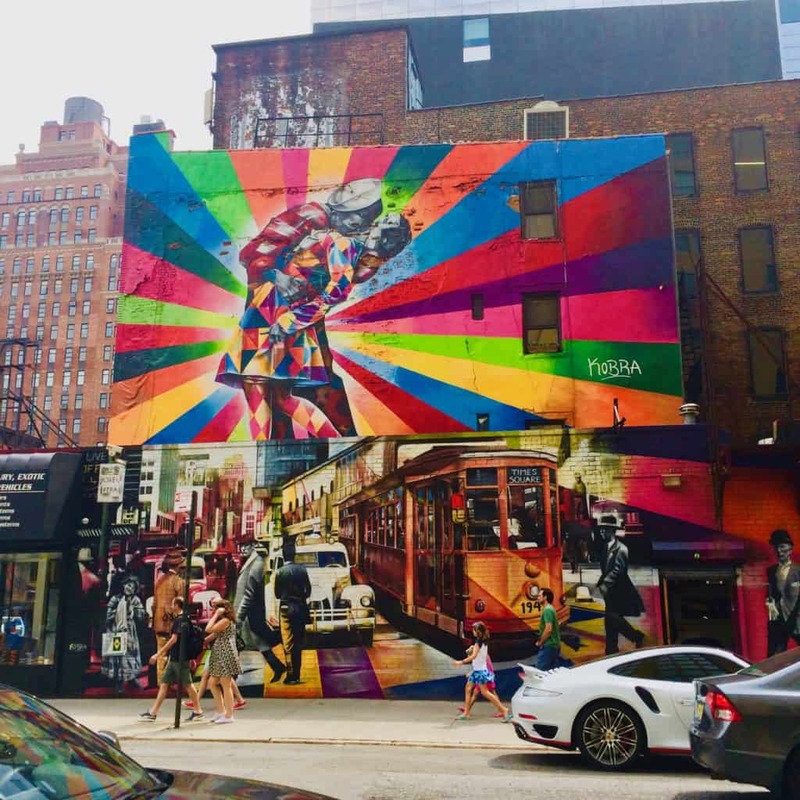 If you are not interested in doing this alone, check out this Free Midtown Walking Tour, which covers all the sites listed above. 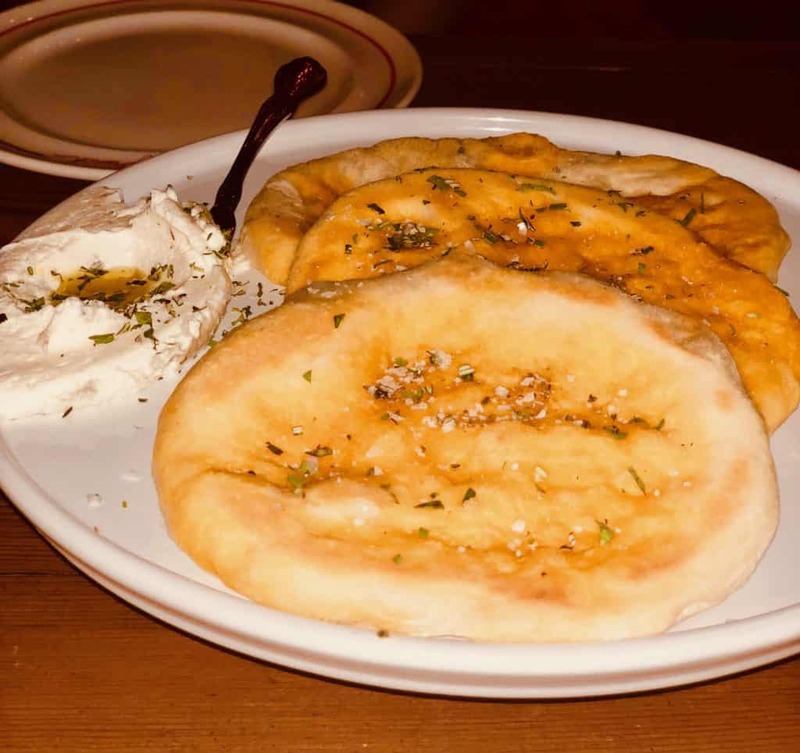 For an awesome and unique dinner experience in mid-town, head over to Jongro for dinner. This is a Korean BBQ joint that is really one of the best ones that I’ve ever been to before. Start out your day with a stroll through Central Park. This will give you a bit of a break from the hustle and bustle of the city, as the park is huge and full of lush greenery. While in the park, you can visit the small Central Park Zoo. Tickets there run at $19.95 for adults and $16.95 for kids. New York has a lot of great museums, and really something for everyone. 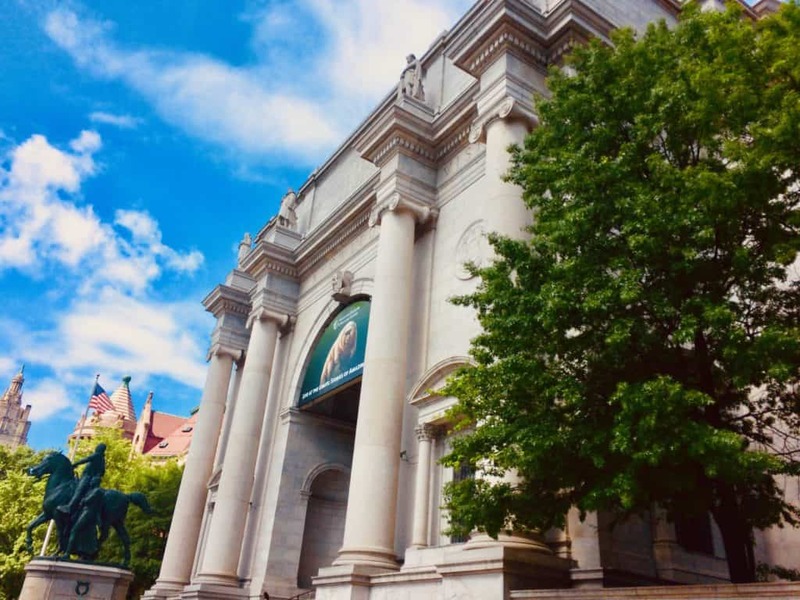 On your first visit to the city, I recommend that you visit the American Museum of Natural History. It houses a fabulous collection of artifacts from places around the world, and one could spend hours there soaking up all the information in the exhibits. Tickets are $23 for adults and $13 for kids. If you are more of an art person, visit the Met. And yes, this is the same Met where that famous gala is held every year :). This museum offers rotating exhibits that feature art from different time periods and locations. Current exhibits include the Art of Native America and Dutch Masterpieces at the Met. Tickets are $25 for adults, and kids 12 and under get in for free. TKTS Discount Booths: You can use this system to get deals on same-day tickets. You should be aware that you will have to wait awhile to get them (in Times Square). 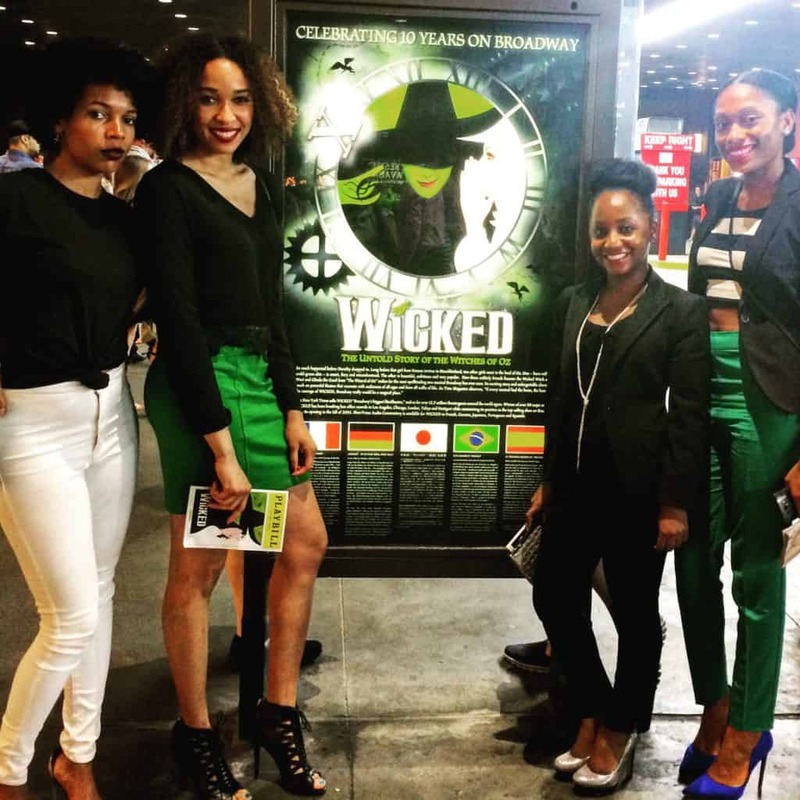 Broadway Box: An online marketplace for cheap Broadway tickets. 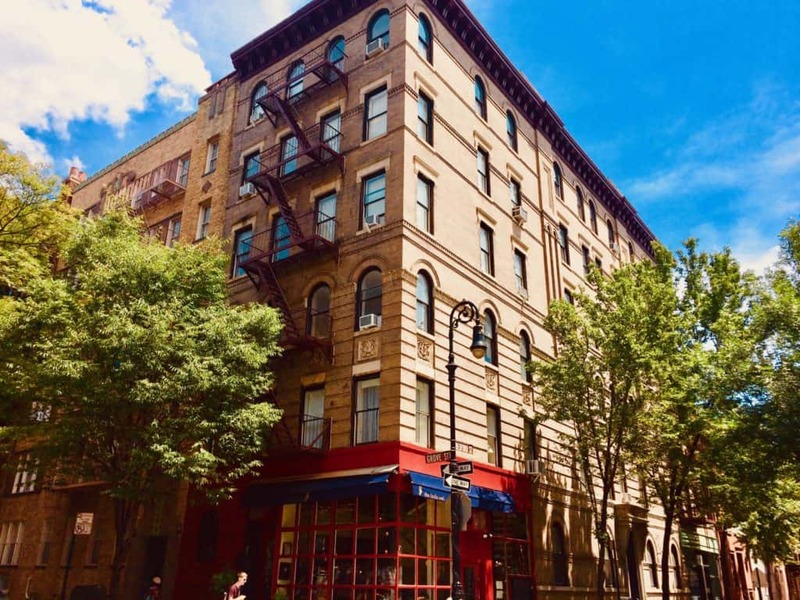 Start out your day by checking out the Tenement’s Museum. Here you can go back in time to life in the Lower East Side during the time of mass immigration to New York. There are several exhibits here, all providing a glimpse into the often terrible situations the lower class had to endure. 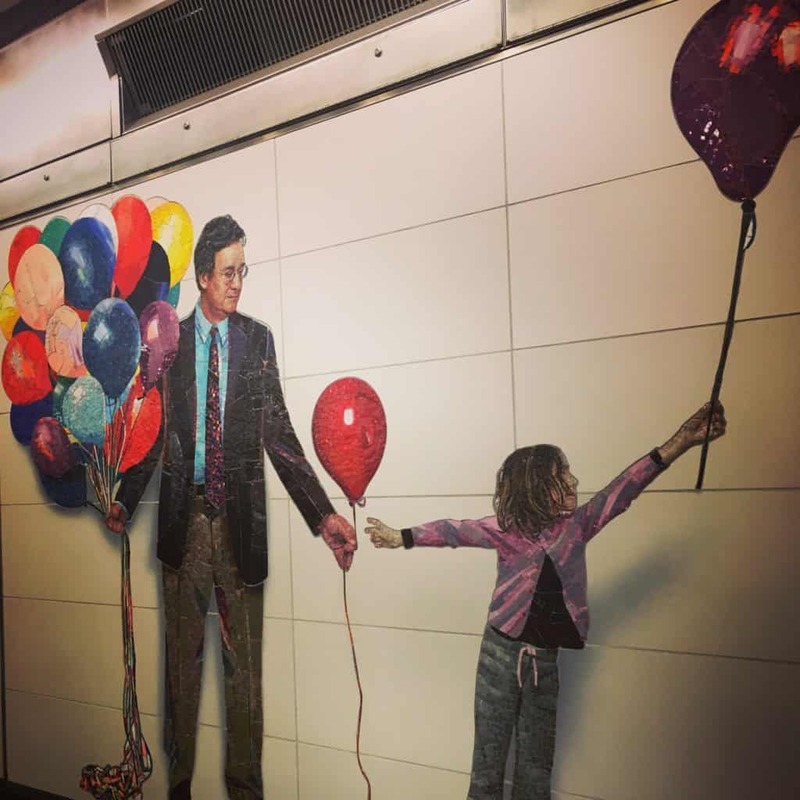 Accessible by the Delancy St, Grand St, or Bowery subway stations. 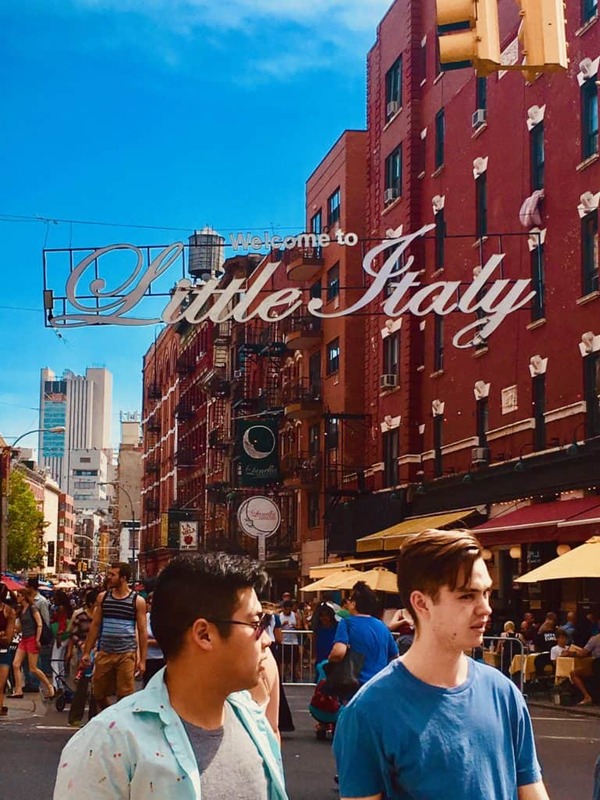 Head over to Little Italy via the Spring St. subway station, and walk east two blocks to Mulberry St. This area is full of Italian eateries, and is the perfect place to stop and grab food. For an extra special treat, check out the first pizzeria in the United State: Lombardi’s. I absolutely LOVE their pizza – it’s simple but perfect. After lunch, continue your stroll towards Chinatown. All you really have to do is walk down Mulberry St. until Little Italy ends (3 blocks) and you won’t miss it. Chinatown is a lot bigger than Little Italy, and here you can find lots of street vendors to bargain with. Also, if you’d like a sweet treat, check out Eggloo. They have the best waffle cones I’ve ever tasted and lots of flavor / topping options. 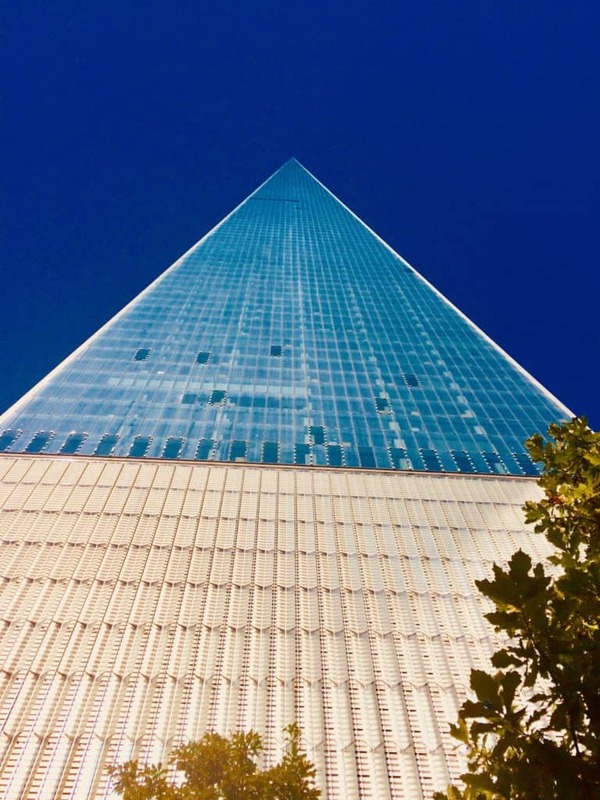 On your final day in the city, you should visit the One World Trade Center. If you plan to go to the top, don’t forget your Skip-The-Line Ticket! You’ll need to save the time today ;). I won’t give any spoilers, but the elevator ride is probably one of the coolest that I’ve been on, and certainly worth the ride! The closest subway station are the World Trade Center and Fulton Street. Next, get your priority tickets to the Statue of Liberty and Ellis Island. Because, what is a trip to New York without a visit to it’s most iconic attraction? This visit will keep you busy into the early afternoon, ~4 hours or so. To get to those islands you’ll need to meet your tour in Battery Park, accessible by the Bowling Green and South Ferry stations. It’s now time to…shop! 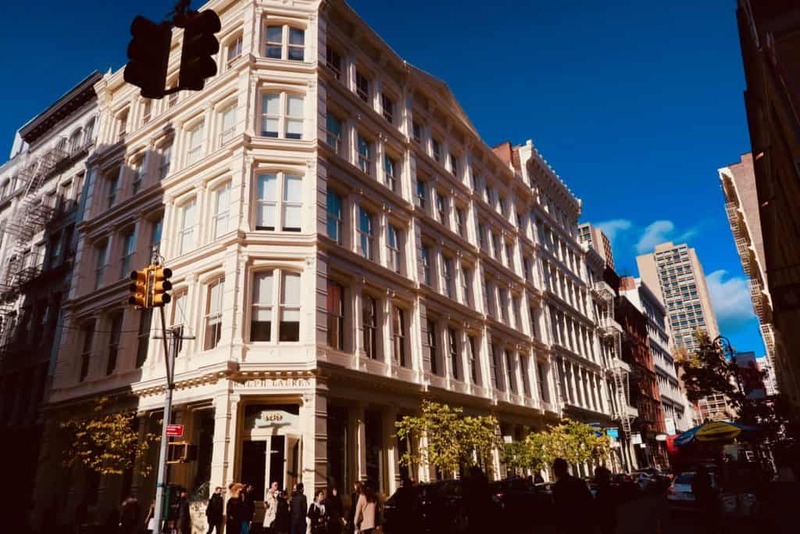 I recommend shopping in SoHo – it is simply the best. You’ll find big chain stores such as Bloomingdale’s and more boutique shops like the French Connection. I almost never leave NYC without taking a few minutes to see what new styles are out. The closest subway stations are Canal Street and Prince Street. If you want to go all out for your last meal in the city, I recommend Dirty French. This is a French-fusion restaurant with unique but delectable appetizers, main courses, and drinks. My mouth is salivating just thinking about it…mmm. One of my favorite things at Dirty French is THIS bread! If you do plan to visit at least 5-6 attractions, you’ll save about 42% of the cost! Check out the New York City Pass here. Now I’m going to be really honest and say that 4 days in New York is not enough time. But there really is never enough time for New York, is there? The city is massive! BUT, 4 days is enough for you to get a really good feel for the city. AND whet your appetite enough so that you’ll want to come back. I mean, you have to explore all those other boroughs outside of Manhattan too, right? 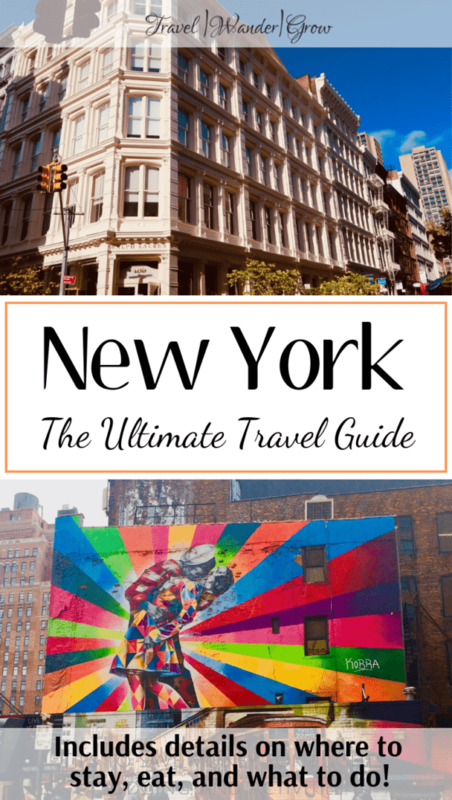 I hope that you feel ready for your 4 days in New York now that you’ve read this post. As you may be able to tell, I’m just slightly obsessed with the city :). 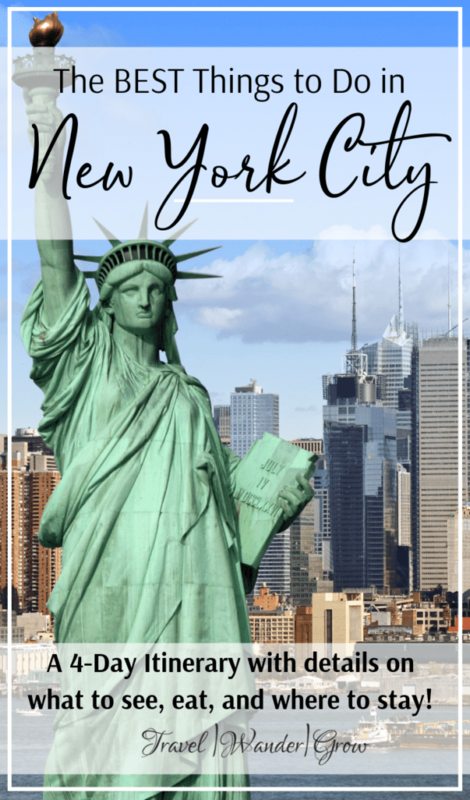 If you’ve visited NYC before, let me know in the comments below! What else would you recommend for the first-timer? I love how detailed your post is and am amazed out how much you got done in 4 short days! My wife’s work has an office in Chelsea that she visits once a month now. I pan on tagging along a few times this summer and your list will be very helpful. Thanks! Great recommendation for a 4-day trip To New York, and very informative. New York is on my bucket list of things to do. I drove through New York one time many years ago on my way to Bangor ME, and I was in a real hurry to pick up my girlfriend at the time, didn’t get to see any of NY city. Thanks for sharing, and I might be back to fulfill my bucket list! I hope you get to visit NYC soon, Terry! Very lovely site. easy to navigate and so much content. I like the lists that you are able to give. Nice idea. Hope to use one of your lists some day soon. I love the post of yours about New York city. I had no idea where to go and after visiting the post of yours, helps me a lot. After reading the post of yours, makes me travel to New York. I will mark the post of yours in my bookmark. Cheers! Glad to hear it Jaden! If you go to NYC, let me know if you have questions! New York is my favorite place on Earth! I hope to get back again soon, great article! This is definitely the type of post I’m looking for if I want to travel to a new city. It’s got amazing detail. And I love how you talk about things to do and places to go during a 4-day stay. It’s so specific. I also love your site’s layout and design. I can almost feel like I was there in your description. Last trip to New York city was a long time ago. I did go to the circus at Madison Square Gardens. I was only there for two days on my way to Europe for a two year stay. We did not stay in New York on the way back. If I go back again, I will use your information for planning my trip. I will plan on more than four days though, there is a lot to see in this area of the world. Yes, I agree. 4-Days is just enough to get your feet wet, but if you have more time it’s even better! As always you have covered almost everything one needs to know as a tourist. I have read many of your posts and feel that you are one of the best Travel Blogger. Newyork is really bit costlier as 4-day visit would cost something around $1000 apart from Fight tickets. I have read your “50-30-20-budget-spreadsheet” and left my email ID as well. Please share budget spreadsheet with me. Hi Arun – I’m glad that you enjoyed the post, and appreciate your very kind words :). If you do not get the spreadsheet in your email, just let me know! Hope you get to visit soon Zayac! !